The Real Deal: A ceiling fan can improve the air quality in any room during any season. In the summer, it creates air flow. In the winter, it pushes warm air into the room. It's a win at a great price! 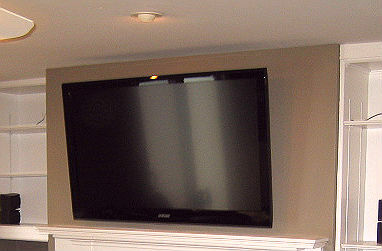 Create more space by having a professional mount your flat screen TV to the wall with this great offer! This panel works with any standard sized portable generator for your home up to 7.5 KW (nearly all residential generators are this size or under). When the power goes out, just flip the switch on your panel and plug your generator into your outside outlet and you're good to go, thus, with this panel it is a turn-key operation! All you will have to do is flip the switch and plug in your generator, and you have power! The generator panel mounts next to your existing electrical service panel and the exterior outlet can be mounted up 20 feet from the panel on your house. Customers can prioritize which 6 circuits size 15 amp and 20 amp they would like to be working when the generator is operating (i.e. fridge, sump pump, security system, garage door, etc). 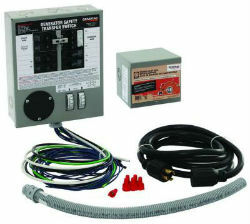 This panel will eliminate the need to find and run extension cords to your portable exterior generator! (to make generator's receptacle compatible with new transfer switch). $200 toward your Next Electrical Project for just $111!